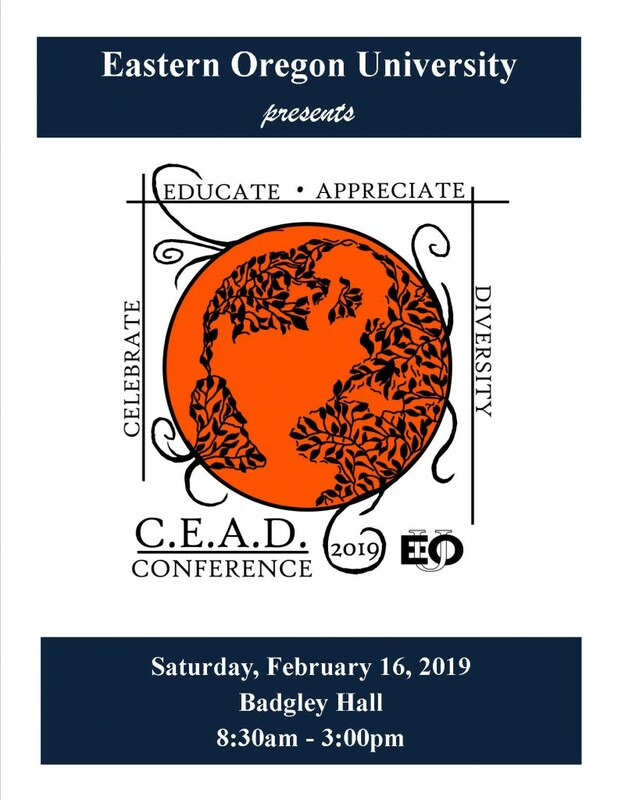 The conference is FREE for EOU students. 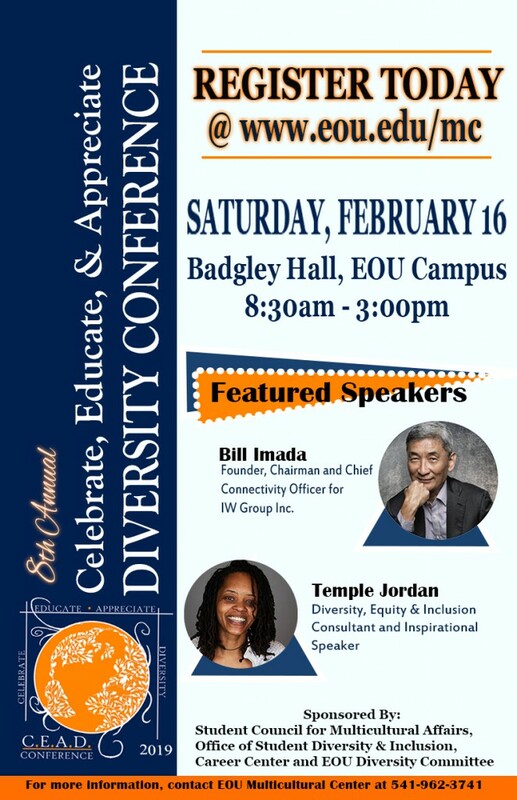 Community members, staff and faculty can attend the conference for a fee of $30. Provide an opportunity for students to learn from others, whose backgrounds, beliefs, and perspectives are different from their own and to gain a broader understanding of differences. Promotes personal growth and skills that encourage critical thinking and transform the challenges of diversity into opportunities. Enable participants to be empowered leaders actively promoting the advantages of diversity. Increase students understanding of power, privilege, biases, and stereotypes and how dimensions impact their interactions and perceptions of diversity. Students will learn about diversity, equity and social justice as well as gain skills that will enable them to be responsible and reflective campus and community leaders as well as advocates for creating a more inclusive campus community.